Remove impurities and filter your fresh milk using this milk funnel. 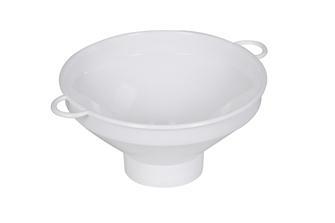 Food grade plastic funnel with a strainer for the milk. Also available are individual strainers for milk pipelines, and the strainers can be changed to ensure hygiene levels.